This is a piece of antique that I bought from The Hertfordshire Militaria and Medal Fair. See here for more information about the Fair. 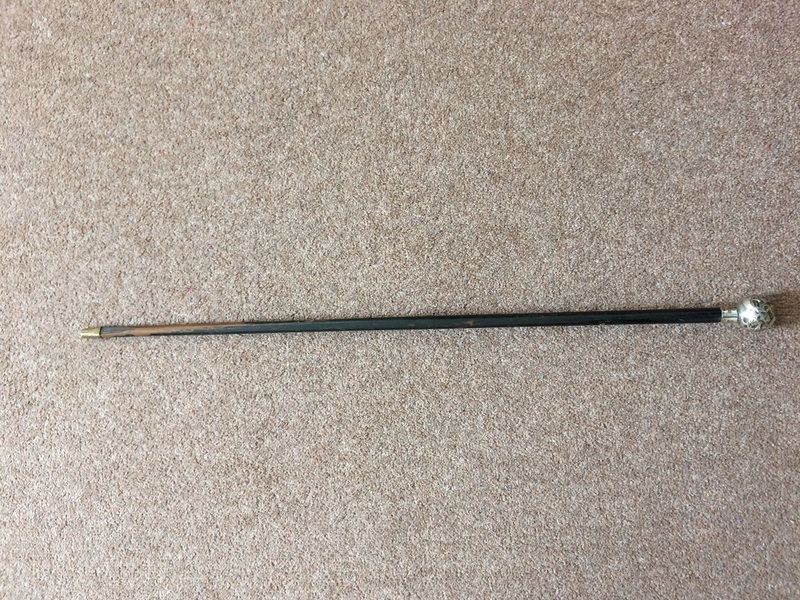 It is an antique swagger stick with silver on top. Look how long the stick is! 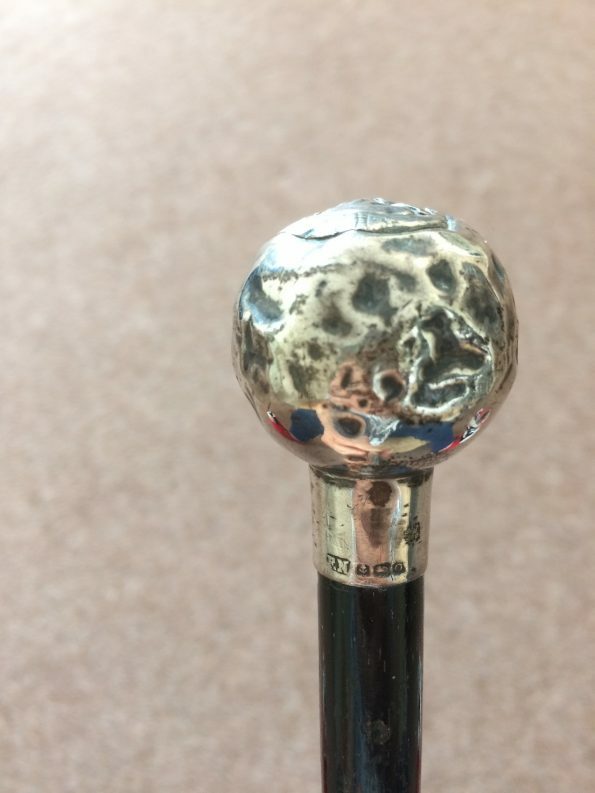 On the top of the stick, the head is made from silver. 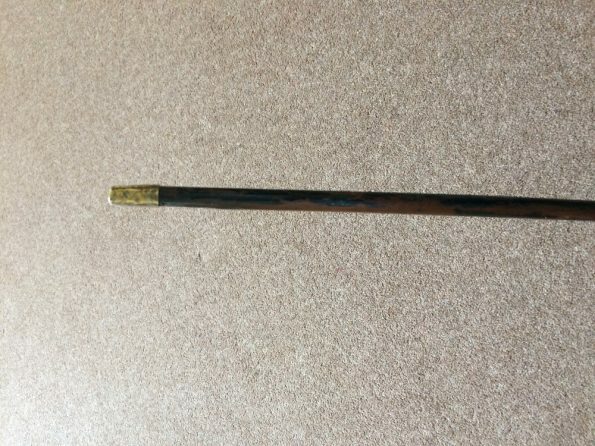 It has a regiment symbol which I think belong to the Royal Rifle Brigade. I am not sure which regiment this Rifle Brigade belongs to. Do you have any idea? 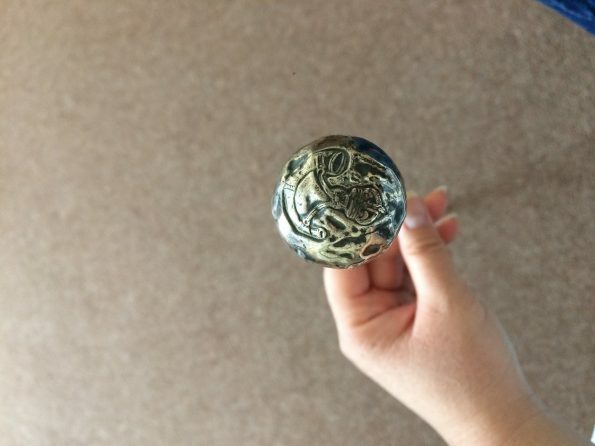 The symbol looks that it has a horn at the bottom and a crown at the top. 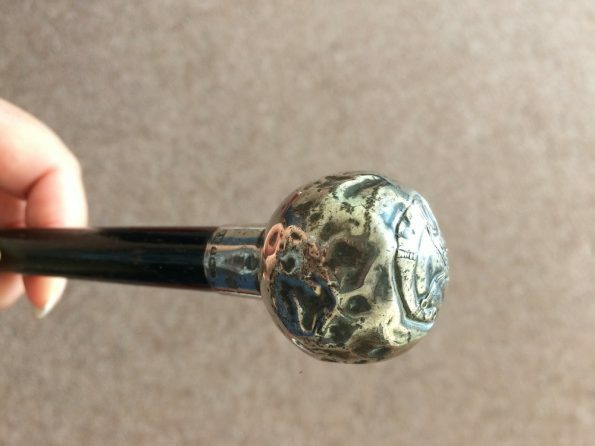 A closer look to the silver hallmark, says that the silver is struck between 1913-1914, so I assume this stick is used during the World War I. 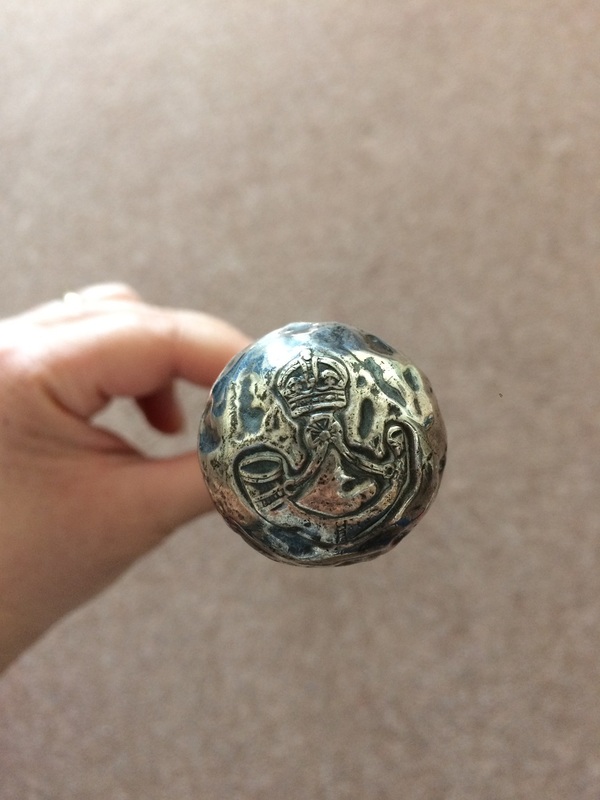 The silver hallmark consists of the marker marks, an anchor which represents a Birmingham assay office, a lion mark for a standard purity of Sterling Silver, and a letter O for year 1913-1914. The markers marks are F.N. but I am unable to search who they are. Anyone has any idea of who the marker(s) are? The silver top is looked very much dented. I wonder if this is the original look of the silver? Or the silver has been worn so much that it is dented? 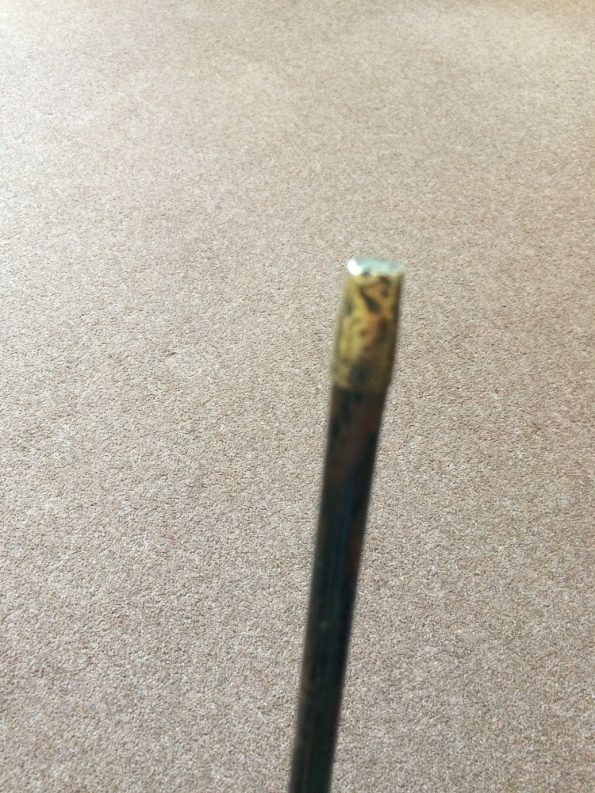 At the end of the stick, there is a metal cover, which looked as dented as the silver top. 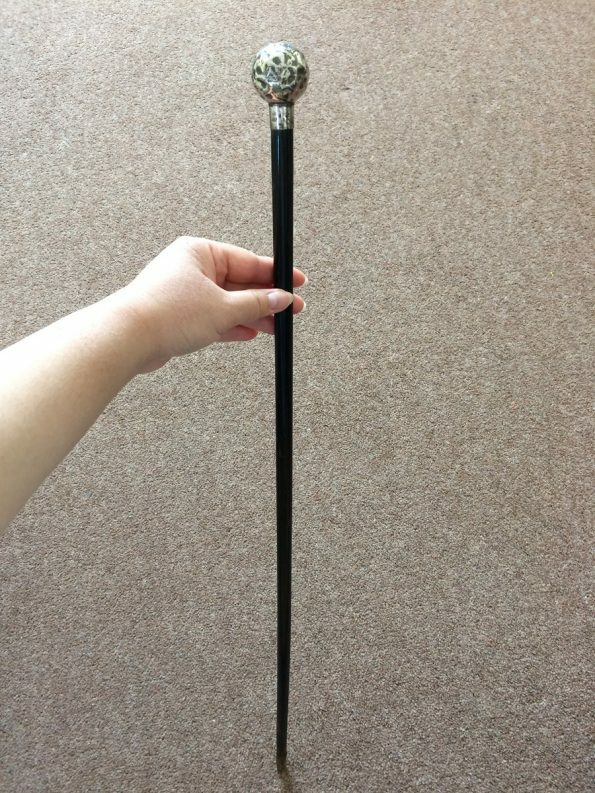 I am now wondering who uses this stick? Or who is the Officer that this stick belongs to? Any suggestion would be very much appreciated!